In the 1940s, traditional mountain music gives rise to bluegrass, jazz spreads nationwide, and three North Carolina natives make their mark on American music. For more than a decade, big swing bands like Kay Kyser’s Kollege of Musical Knowledge out of Chapel Hill have been touring cities and resorts, playing hotel ballrooms. Now they follow the troops overseas to makeshift USOs on bases in Europe and far-flung Pacific Islands. Back home, a new sound is fast sweeping the hinterlands: With deep roots in the textile mill culture of the North Carolina Piedmont, “hillbilly music” is being broadcast on high-wattage radio by mill-hand bands such as the Briarhoppers. Earl Scruggs is a friendly country boy raised on a farm in Flint Hill. He plays music — guitar, like most of his family, but especially the banjo left by his father, George, a fiddler and banjo player who died when Scruggs was 4. Soon afterward, Scruggs buys himself a Montgomery Ward banjo for $10.95. Later he trades up to a Gibson. Some players have been picking with thumb, index, and middle finger since before the Civil War, but Scruggs takes the style into overdrive, sounding six to eight notes per second in lightning-fast melodic rolls — three-note rolls crowded into two-beat bars. He graduates from Boiling Springs High School in 1942, but instead of being drafted into the war, Scruggs remains at home to support his widowed mother, Lula. He works at Lily Mills in nearby Shelby, maintaining the great spinning machinery for 40 cents an hour. On weekends, he drives his 1936 Chevy across the state line to Spartanburg, South Carolina, to watch Don Reno play his banjo on WSPA’s live radio show. Like a number of other players, Reno plays an up-tempo, three-finger picking style rather than an old-time clawhammer style. Soon Scruggs, too, is playing “hillbilly music” on a live radio show in Spartanburg, with the Morris Brothers. But he’s still working full-time at the mill. His mother urges him to quit and devote himself to music, and he lands a spot with Lost John Miller and the Allied Kentuckians — based in Knoxville, but always on the road — and a gig on the radio that pays $50 per week. Before a performance, Scruggs dries out and tensions the banjo head by holding it near a light bulb, so that each note jumps off the strings with a dazzling crispness, clean and distinct. In generations past, hometown players would entertain their families and friends on porches, in living rooms, in a neighbor’s barn or store. The ambitious ones traveled the “kerosene circuit,” playing unelectrified school auditoriums, empty tobacco warehouses, and fairground sheds. But radio is changing all that — fast. As electrification lights up rural farmsteads, the radio becomes a fixture even in remote homes. North Carolina begins the decade with 25 stations and keeps adding more. In the early 1920s, a radio cost more than $200 — a fortune for a working family. By 1940, a tabletop radio can be had for as little as $6. By mid-decade, rural North Carolina is linked to the national music scene — and contributing significantly to it. In 1922, WBT Charlotte went on the air as the first fully licensed station south of Washington, D.C. Initially it broadcast just two hours a day at 100 watts. In 1941, the Carter Family joins a robust programming schedule of “hillbilly music” and local string bands. By 1944, WBT is the only station in the Southeast to broadcast 24 hours a day. Scruggs is now playing on WNOX in Knoxville and WSM in Nashville. There, he auditions for Bill Monroe and his Blue Grass Boys, the top band in the South. Scruggs debuts with the band on December 8, 1945, on the “Grand Ole Opry,” broadcast live from Ryman Auditorium — the premier stage in America for traditional and country music. Combined with Cedric Rainwater’s bouncy acoustic bass, Chubby Wise’s keening fiddle, Monroe’s energetic mandolin, and Lester Flatt’s slick, single-note flat-picking, Scruggs’s hard-driving banjo style completes a rollicking, high lonesome sound that has been forming for years out of old-time tunes, traditional Celtic ballads, sacred music, and Appalachian fiddling. Soon, the style will be known as “bluegrass,” after Monroe’s band. The Ryman audience erupts with furious applause, and Scruggs’s banjo picking, the signature of the new music, resonates in homes across the nation. 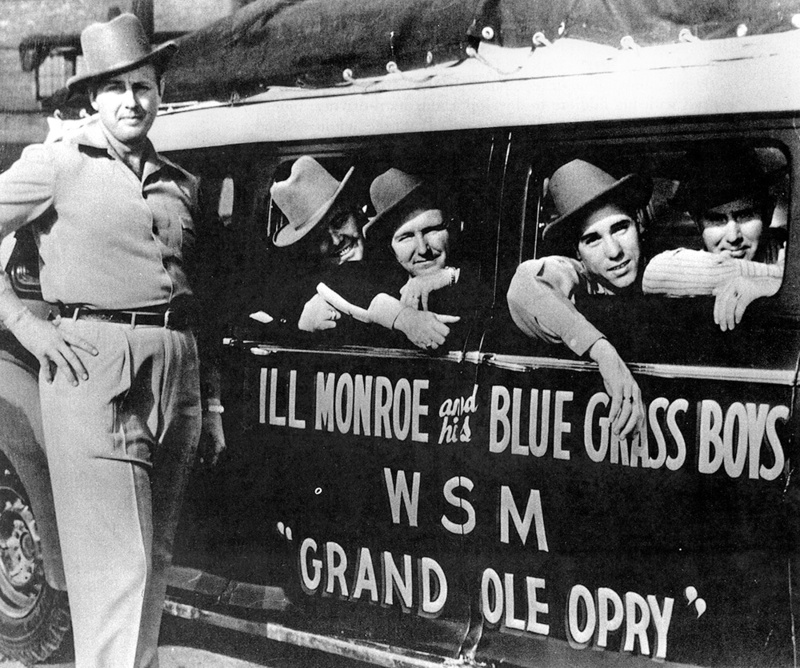 The Blue Grass Boys crisscross the country, usually by automobile, playing packed shows at auditoriums and movie houses, often multiple times in the same day — racing from one theater to the next between feature films. The schedule is grueling, the pay modest — even more so after Scruggs pays for his own hotel room and meals. Three years later, weary of life on the road, he returns home to North Carolina. A few weeks later, Lester Flatt joins him, and they form the Foggy Mountain Boys. 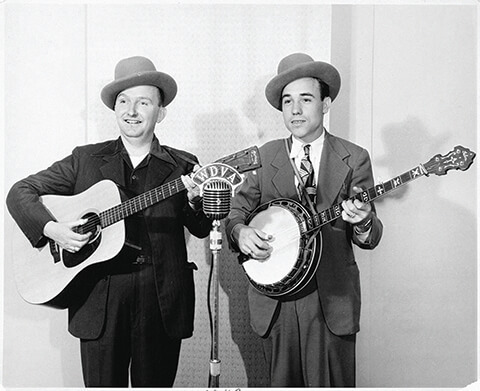 Four years after his “Opry” debut, Scruggs and his band lean into the mics at the Herzog Studio in Cincinnati. Scruggs jumps into a lightning-fast tune he calls “Foggy Mountain Breakdown” — a frantic three-chord romp of 16th-note rolls at breakneck speed up and down the banjo neck that repeats 13 times and lasts just 2 minutes and 40 seconds. Nobody has ever played anything like it — and it will outlive the man who wrote and performed it, to be played more than a million times for audiences. Earl Scruggs has become the most famous banjo player in America. He is 25 years old. Thelonious Monk Jr. is the grandson of Hinton Monk, a slave who grew up on the Willis Cole plantation in Johnston County, overrun by 85,000 troops during the Battle of Bentonville. Monk is born in Rocky Mount in the wake of a fierce storm on October 10, 1917, and is deliberately named — Thelonious is the Latin form of St. Tillo, a seventh-century Benedictine missionary who was taken into slavery. His parents, Thelonious Sr. and Barbara, share the collective family memory of slavery and the Klan violence of Reconstruction, and they place a high value on freedom. After his father loses his job with the Atlantic Coast Line Railroad in 1922 and becomes ill, his mother makes a bold move: to raise her three children in New York, out of the segregated South. She leaves her husband behind in North Carolina. Monk doesn’t have a formal piano lesson until he is 11, but he begins learning the instrument much earlier. “I learned how to read before I took lessons,” he says later, “watching my sister practice her lessons over her shoulder.” One of his early teachers is Alberta Simmons, a veteran of the speakeasies around the city, where she plays ragtime and “stride” piano — a Harlem jazz variation of ragtime, in which the left hand alternates a single bass note with a full chord as the right hand plays the melody. Monk gets his start playing rent parties for $3 a night. He learns to play fast rolls up and down the keyboard and to add “decorations” to the melody, and he masters all the jazz standards. As a teenager, he starts writing the songs that he will later record (“ ’Round Midnight,” “Ruby, My Dear”) and distilling his raucous party piano playing into a distinctive, bare-bones style — deceptively simple, something like pure melodic form. Then he introduces occasional jarring dissonant chords that sound wrong but actually play off the melody and accent it, somehow containing it in the empty space inside the runs and chords. His playing is full of surprising moments — even to himself — and audiences start to recognize Monk’s sound with just a few bars. He’s breaking apart the tunes and putting them back together in musical phrases that are both familiar and strange. People don’t just listen — they laugh and nod along and even call out his name. In 1941, Monk lands a gig that puts him onstage with a rotation of the best jazz musicians in New York: He becomes the house piano player at Minton’s Playhouse in the Cecil Hotel, earning only about $30 a week. But it’s a steady gig. He’s 23 years old, rail-thin and clean-cut, peering at the piano keys through eyeglasses, and, like the other musicians, dressed in a snazzy pin-striped suit. Thoughtful critics recognize this for what it is: a studied, inspired rebellion against rules and structures of the past. A will toward freedom. John William Coltrane is born in Hamlet in 1926. His parents, a tailor and a seamstress, soon move the family to High Point. Coltrane is known as a shy, quiet, smart boy. In fifth grade, he writes an essay about the opera singer Marian Anderson, and he admires the poetry of Langston Hughes. He is a model student, the salutatorian at his grammar school graduation. He is also just discovering music — his first instrument is the alto horn; after that, the clarinet. His mother is an amateur piano player, and his father plays violin and ukulele, though not publicly. Eight months before he starts at William Penn High School — also known as High Point Normal and Industrial — Coltrane and his family are devastated by the death of his father, grandparents, and an uncle. Brooding and distracted, Coltrane disappears into his music. He practices incessantly, obsessively. He slacks off on his studies. Without his father’s income, the family falls on hard times, and his mother, Alice, decides to move north to Philadelphia to find work, leaving her son alone to finish high school. Meanwhile, Coltrane takes up the alto sax and plays in the small school band. His bandmates are impressed that he can play even difficult tunes by ear, with no need for sheet music. And he seems to carry his school-issued sax everywhere, playing at all hours, endlessly practicing. He graduates in 1943, voted “most musical,” and moves to Philadelphia with friends from High Point. In Philadelphia, his mother buys him his first — used — saxophone. He plays constantly, upsetting the quiet of his apartment building, and is finally allowed to practice in a nearby church. By 1945, he has his own trio, but his gigging is interrupted when he is inducted into the Navy. At Pearl Harbor, he joins an all-black Navy band called the Melody Masters, playing swing with the band but learning the fine points of bebop in his spare time. Once out of the service, he tours with Eddie “Cleanhead” Vinson, playing tenor sax — and finishes the decade touring with Dizzy Gillespie. Coltrane becomes a technical virtuoso, developing a style of phrasing that redefines his instrument with the sheer fluid density of the riffs. Ahead of him still are battles with alcohol and drug addiction, but his pioneering work wins out. 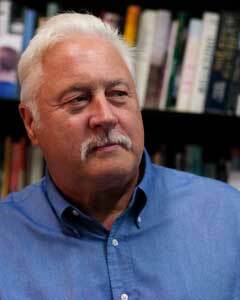 He incorporates idioms from Africa, Asia, and Latin America. He changes jazz forever. Coltrane performs one of his most memorable concerts with the Thelonious Monk Quartet at Carnegie Hall in 1957. Among the other performers sharing the bill are Billie Holiday, Ray Charles, and Dizzy Gillespie. Coltrane dies young — at just 40 years old. He posthumously wins a Grammy for best improvised jazz solo, a Grammy Lifetime Achievement Award, and a special citation from the Pulitzer Prize Board — recognitions that pale in comparison to his lasting jazz legacy. Ann Freeman; William Freema; Rebecca Taylor, Manager of the Federal Point History Center; and the staff and volunteers of the Earl Scruggs Center for their help in locating materials for this article. Huber, Patrick. The Linthead Stomp: The Creation of Country Music in the Piedmont South. Chapel Hill: The University of North Carolina, 2008. Jones, Wilbur D. Jr. A Sentimental Journey: Memoirs of a Wartime Boomtown. Shippensburg, Pa.: White Mane Books, 2002. Kelly, Robin D.G. 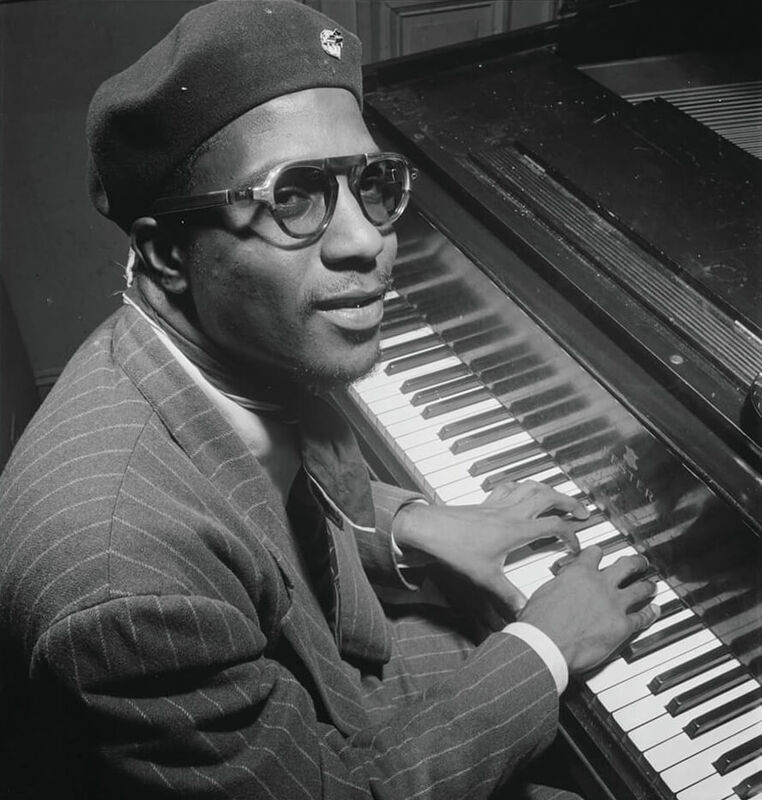 Thelonious Monk: The Life and Times of an American Original. New York: Free Press/Simon and Schuster, 2009. Porter, Lewis. 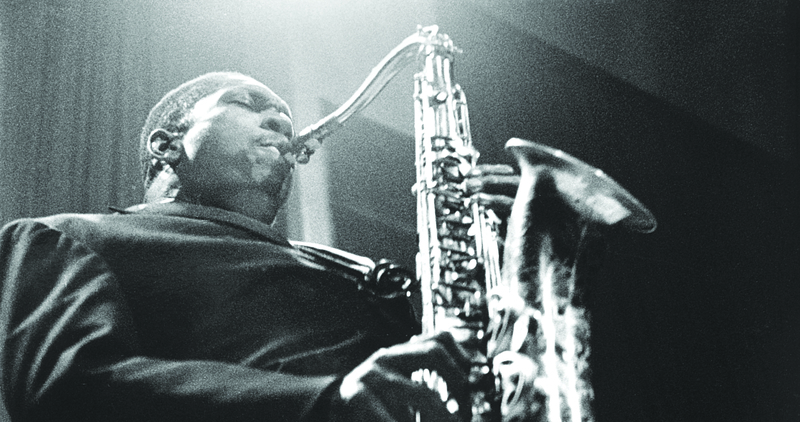 John Coltrane: His Life and Music. Ann Arbor: The University of Michigan Press, 1998. Willis, Barry R. America’s Music: Bluegrass-A History of Bluegrass in the Words of its Pioneers. Franktown, Colo.: Pine Valley Music, 1992. Wilson-Giarratano, Gail. Carolina Bluegrass: A High Lonesome History. Charleston, S.C.: The History Press, 2015. Brown, Paul. “The Story of Foggy Mountain Breakdown” (Broadcast with transcript). Weekend Edition, National Public Radio, April 1, 2000. Goldsmith, Thomas. “‘Foggy Mountain Breakdown’–Lester Flatt and Earl Scruggs (1949).” The Library of Congress. Gussow, Mel. “Julius Monk, Cabaret Impresario, Dies at 82. New York Times obituary Aug. 22, 1995. McFee, Philip, and Williams, Wiley J. “Radio enters Its ‘Golden Age’ in North Carolina.” NCPedia. Wilson, John S. “Thelonious Monk Created Wry Jazz Melodies and New Harmonies.” New York Times obituary, Feb. 18, 1982.